Capacity 449 cc / 27.4 cub. in. Front Suspension ∅45mm Upside-down forks. Wheelbase 1475 mm / 58.1 in. Castor 118.8 mm / 4.7 in. Dimensions Length: 2200 mm / 86.6 in. Dry Weight 110 kg / 243 lbs. Wet Weight 120 kg / 265 lbs. Fuel Capacity 8 Litres / 2.1 US gal. Reserve approx. 0.75 Litres / 0.2 US gal. No changes from the 2010 model. Herewtih a review of the 2010 model. The single cylinder 449 cc engine, 4 valves, capable of delivering 50 HP is developing a novel mapping of the ECU unit, designed to reduce fuel consumption and lower the "presence" of the engine braking during their release. A new exhaust system, not approved for road use, including a collector "reflecting and absorbing" capable of indenting the G450X in the parameters of noise imposed by the FIM also against a silencer smaller and lighter than 1 kg. Thanks to this and other measures of detail, the G450X 2010 it may present to the starting gate before the threshold of 110 kg curb: a value which should allow itself to be sufficiently "fast" in the Strait, even considering the fact that the tilt of the steering plate to the center of the range was reduced by 2.5 mm. The novelties also recalibrated Marzocchi fork and Öhlins shock absorber, but also a more ergonomic saddle, by using a different foam and a higher profile in the central area. The new BMW G 450 X. Fine-tuned for even more competitive potential. BMW Motorrad has set yet another milestone in the company's 80-year offroad tradition. It is the first uncompromising, pure-blooded sports enduro to be produced in the popular 450cc class and to have been developed especially for enduro use, fit for taking part in the most demanding contests in the world. 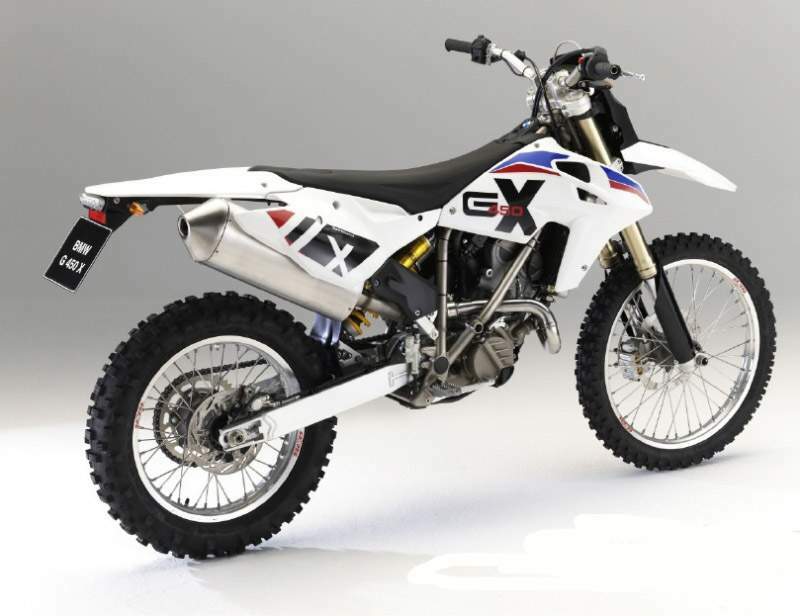 Hot on the heels of its international and nation competition success, the 2010 G 450 X will not only receive a new look but will also be fine-tuned to offer the trail rider and enduro racer an improved overall package. Meanwhile BMW Motorrad can look back proudly at the numerous sporting successes it has achieved with the G 450 X. Preliminary highlight was the second place in the WEC, short hand for world enduro championship, for Juha Salminen in class E2 enabled by top-professional factory entries over the course of an entire season. As well as chalking up several sporting successes in the German Cross Country Championships, the Erzberg Rodeo, and most recently, the Red Bull Romaniacs. At this event in Rumania, Andreas Lettenbichler won through decisively with his G 450 X against an entire legion of worldwide motorcycling elite at a legendary City Prolog event. Four racing days in the Carpathians, with extremely steep uphill and downhill slopes, fast rally-style sections, and difficult and selective single trails through dark forests. To cap it all was a veritable daredevil ride on the roof of a five-storey building in the centre of the city of Sibiu. 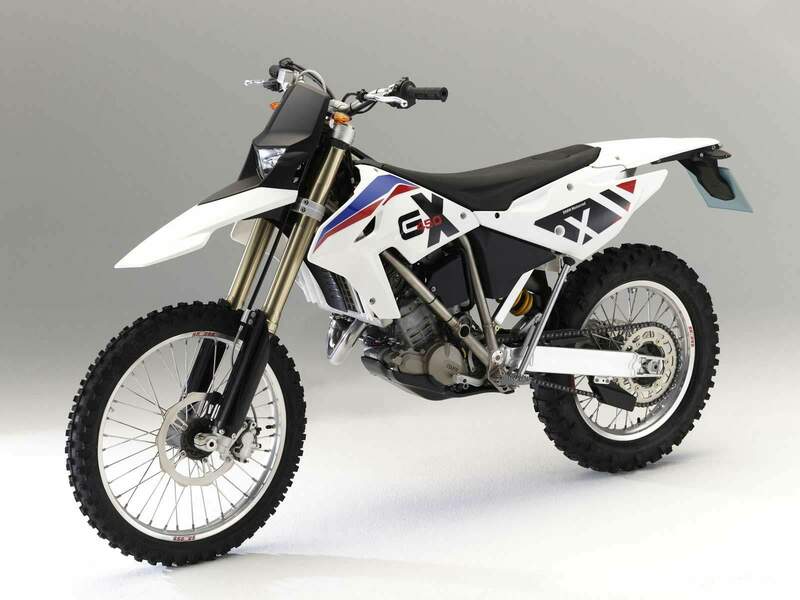 And now, numerous technical optimisations have been planned for the BMW G 450 X in the model year 2010. For instance, a new dataset has been developed for the ECU (engine control unit) of the bike's digital engine management system. This results not only in an improvement in fuel consumption (4.3 l/100km versus 4.5 l/100km @ 90km/h) but also a reduction in engine break torque, improved start characteristics and more sensitive responses, particularly with load changes. In addition to the usual standard features, an optional extra is available in the form of a slip-on racing silencer (without ABE and not homologated for on-road use), which serves to further enhance the technical concept of the G 450 X as a pure-blooded, uncompromising sports enduro. Its main benefit compared to the standard silencer is that it is around one kilogram lighter. The stainless steel manifold, designed as a combined reflective and absorptive silencer, fulfils FIM regulations, is easy to assemble, and reduces the G 450 X's dry weight in competition conditions to no more than 110 kilograms. The chassis has also been slightly tweaked. The offset of the front axle to the middle of the fork rod has been reduced by 2.5 millimetres, resulting in more neutral handling with optimum directional stability. The new upside-down forks with updated internal settings that have a stronger damping progression for improved tracking and control in rough terrain. The linkage free rear shock has also received updated settings. A new seat design; now filled with soft foam and also displays an enlarged radius in the upper thigh area, provides the rider additional comfort and control over the bike. Furthermore, the new of the upside-down fork has been recalibrated with a stronger damping progression, resulting in more sensitive response characteristics and improvements in overcoming bumps, even in very tough off-road terrain. The calibration of the rear strut has also been modified, with the result that its damping characteristic now also displays a more progressive line, favouring more sensitive response characteristics. Ergonomics have been improved with a new seat design; it is now filled with soft foam and also displays an enlarged radius in the upper thigh area. The new design features increased comfort and affords the rider increased control over his machine. 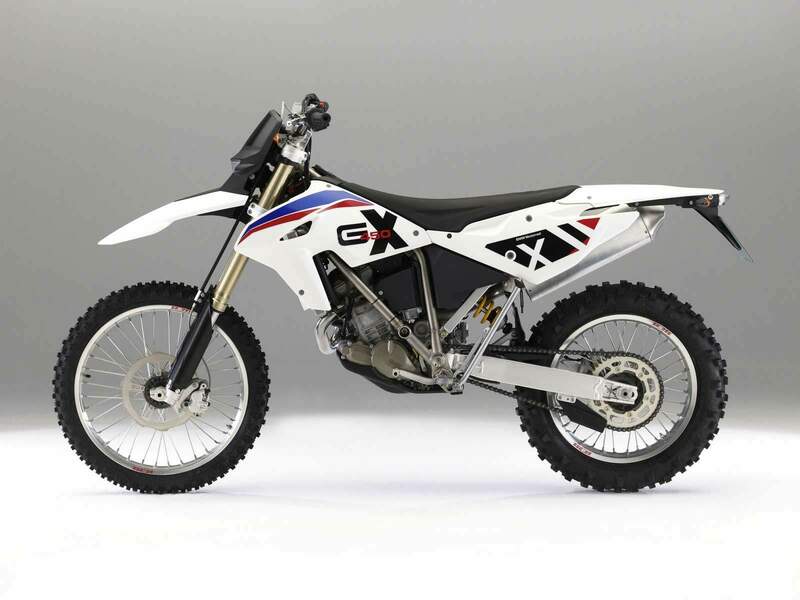 The design of the new G 450 X is oriented towards the successful factory racing models of the BMW Motorrad Motorsport team, with matching, gold-anodised fork inner tubes. 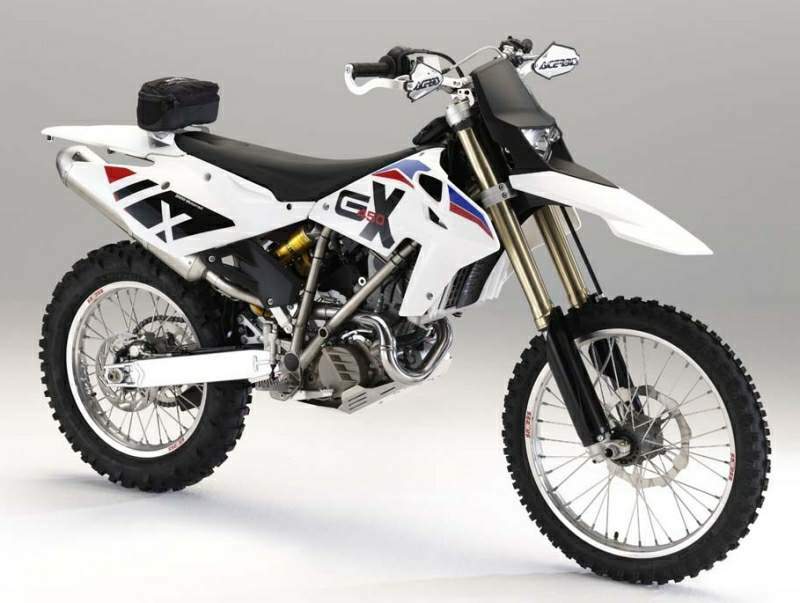 And now, numerous technical optimisations have been planned for the BMW G 450 X in the model year 2010. For instance, a new dataset has been developed for the ECU (engine control unit) of the bike's digital engine management system. This results not only in an improvement in fuel consumption but also a reduction in engine break torque, improved start characteristics and more sensitive responses, particularly with load changes. The chassis of the BMW G 450 X has also received a number of modifications. The offset of the front axle to the middle of the fork rod has been reduced by 2.5 millimetres, resulting in more neutral handling with optimum directional stability. BMW Motorrad Australia has unveiled its 2010 G 450 X ahead of its market introduction in January. After an extremely successful debut year in the Australian dirt bike market, including a National Championship title in the AORC Expert Class, the BMW G 450 X is set to continue converting enduro riders to the BMW brand. Amongst the modifications the 2010 BMW G 450 X will receive updated ECU mapping for improved fuel consumption (4.3 l/100km versus 4.5 l/100km @ 90km/h) and a reduction in engine brake torque. In its appearance, the 2010 BMW G 450 X further characterises the successful factory racing models of the BMW Motorrad Motorsport team, with matching, gold-anodised forks.